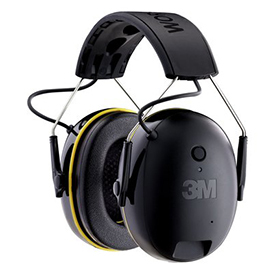 The 3M™ WorkTunes™ Connect Wireless Hearing Protector with Bluetooth® Technology combines a modern, comfortable design with high-fidelity sound quality. This innovative hearing protection lets you conveniently make and take phone calls. Equipped with Bluetooth® Wireless Technology, these ear-protective headphones allow you to stream the entertainment of your choice from your smartphone or other mobile device, while providing hearing protection in noisy environments. The low profile and lightweight design is crafted with style in mind.